WHY IT RATES: Travel agents and advisors selling river cruises should take note of the announcement from Uniworld.—Donald Wood, Breaking News Senior Writer. 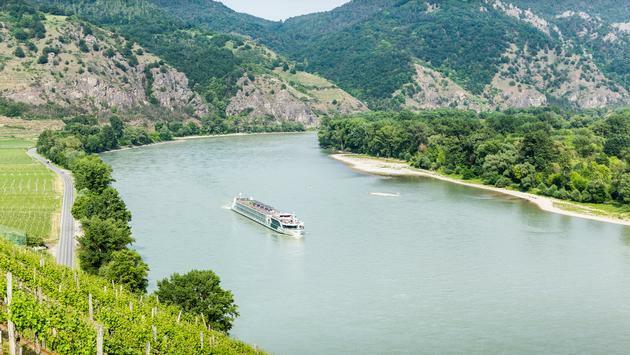 Uniworld Boutique River Cruise Collection has announced a new pre-cruise extension on S.S. Beatrice’s Delightful Danube sailings in celebration of Oberammergau Passion Play running May 17 through September 9, 2020. Uniworld’s guests will have the option to witness this traditional performance that takes place in Oberammergau, Germany every 10 years. Situated in the heart of the Bavarian Alps, this special performance began in 1634 and now includes over 2,000 actors, singers and instrumentalists who are all residents of the village. “Our guests are curious travelers who have an appreciation for art, culture and history, and we’re thrilled to offer them this once-in-a-lifetime historic experience to see the Passion Play while traveling with us,” says Ellen Bettridge, CEO & President of Uniworld. Guests who book the four-day pre-cruise extension will experience a morning at leisure in the charming town of Oberammergau, followed by the world-famous Passion Play that re-enacts the last days of Christ on earth. During the show’s break, guests will indulge in a three-course dinner. Uniworld’s exclusive package includes a hotel transfer from Munich Airport, a one-night stay in a five-star hotel in Munich, a two-night stay in Oberammergau at a centrally located hotel where all of the events take place, one single ticket with premium reserved seating to the Passion Play, two dinners, transportation to and from the show, a local English-speaking guide, transfers to Nuremberg to embark on the cruise and more. Travelers onboard the eight-day Delightful Danube itinerary on Uniworld’s newest Super Ship, the S.S. Beatrice, will sail through Hungary, Austria and Germany. 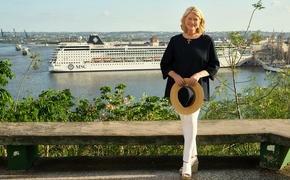 The itinerary is ideal for travelers who love history, music and architecture, and it includes all meals onboard, unlimited beverages, six days of immersive excursions, luxurious river view staterooms complimentary Wi-Fi and more. The Oberammergau pre-cruise package will be open for bookings November 1, 2018 and is available for travel before sailings on May 20, June 17, July 1, August 12 and September 9. Prices for this four-day pre-cruise extension start at $3,799 USD. For more information or to book this Oberammergau pre-cruise extension package, please visit Uniworld.com/Oberammergau.